According to a Financial Times report, Apple has registered 18 new self-driving vehicles since January, nearly doubling the number of self-driving cars in its California test fleet. In total, the iPhone maker now has 45 autonomous test vehicles registered with the state’s Department of Motor Vehicles, up from 27 in January, a number second only to General Motors (via The Verge). 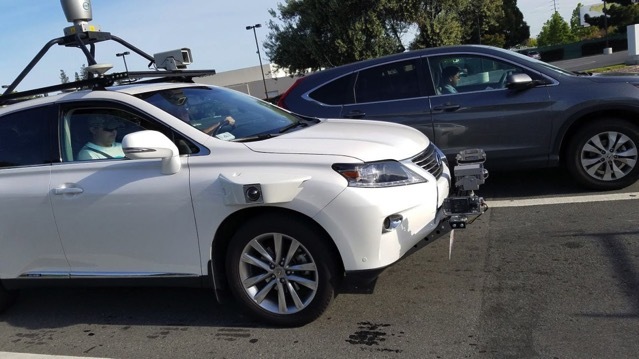 Apple’s fleet of autonomous cars for its ‘Project Titan’ self-driving program is made up of Lexus RX450h SUVs, equipped with huge racks of LIDAR, radar sensors and cameras. The company got its first permit to test self-driving vehicles in April last year, although no hard data about how often the company is testing them has yet been made available to the public. In a recent research by Navigant, Apple was ranked below almost every other company that is currently testing self-driving vehicles in California, although the report did say that Apple has “existing capabilities that make it uniquely positioned to participate in the automated driving space”. Apple is increasing the number of cars in its California test fleet at a time when some of the leading automakers and technology companies in the space are branching out beyond the Golden State. Waymo recently reduced the number of cars it’s testing in California while increasing its fleet in Arizona, as well as on the snowy streets of Michigan. The company also has a presence in Atlanta. GM, meanwhile, is bringing its self-driving Chevy Bolts to New York City. Uber’s self-driving project has also maintained a presence in Arizona, although the company has currently halted the program following yesterday’s fatal accident.